"We will not be the prime suspects." 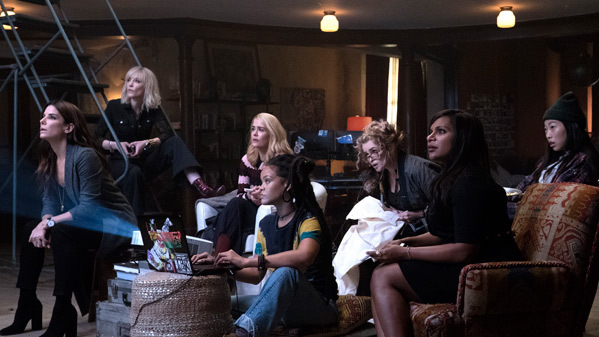 Warner Bros has debuted the second official trailer for ensemble heist comedy Ocean's 8, the all-women follow-up to the Ocean's 11 series. This is produced by George Clooney and Steven Soderbergh, and it has that Danny Ocean vibe anyway, with a big, complicated heist underway at the Met Gala. The stellar ensemble of women who pull off this haute couture heist in NYC includes: Sandra Bullock, Cate Blanchett, Rihanna, Helena Bonham Carter, Mindy Kaling, Sarah Paulson, Anne Hathaway, and Awkwafina. This looks like so much fun, I'm very excited to see it. 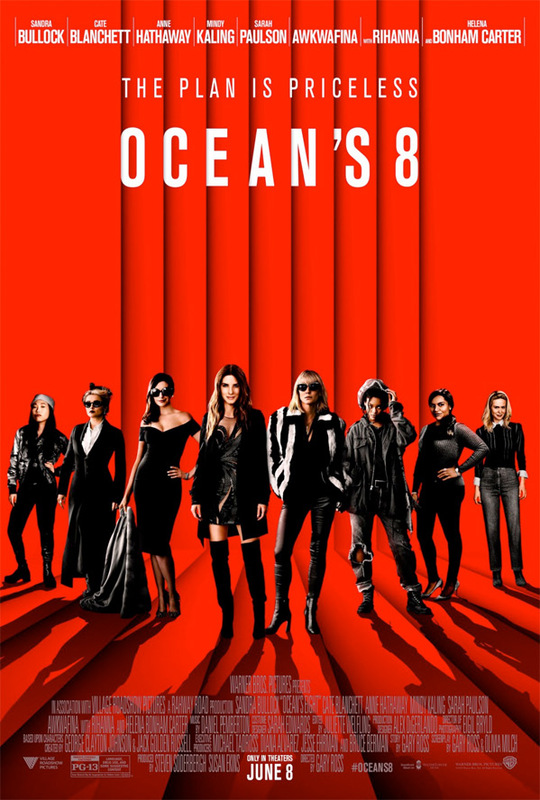 I love the first Ocean's 11 and this seems to have the same kind of feel, and I can't wait to see if they pull it off. They will, of course. You can still watch the first full trailer for Ross' Ocean's 8 here, to see a bit more footage from this. For even more updates, visit oceans8movie.com or follow the movie on social media @oceans8movie. Danny Ocean's estranged sister Debbie attempts to pull off the heist of the century at New York City's star-studded annual Met Gala. Her first stop is to assemble the perfect crew: Lou, Rose, Daphne Kluger, Nine Ball, Tammy, Amita, and Constance. Ocean's 8 is directed by American filmmaker Gary Ross, of the films Pleasantville, Seabiscuit, The Hunger Games, and Free State of Jones previously. The screenplay is written by Gary Ross and Olivia Milch. Produced by George Clooney, Susan Ekins, and Steven Soderbergh. Warner Bros will release Ross' Ocean's 8 in theaters everywhere starting June 8th this summer. How does it look?